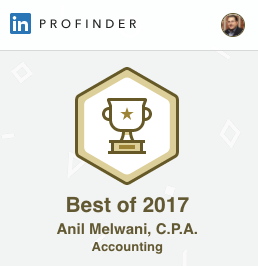 Thank you for selecting the services offered by Armel Tax & Accounting Services LLC D/B/A 212 Tax & Accounting Services and/or its subsidiaries and affiliates including but not limited to Armel Tax & Accounting Services LLC (referred to as “212 Tax & Accounting Services”, “we”, “our”, or “us”). Review these Terms of Service (“Agreement”) thoroughly. This Agreement is a legal agreement between you and Armel Tax & Accounting Services LLC D/B/A 212 Tax & Accounting Services. By accepting electronically (for example, clicking “I Agree”), installing, accessing or using the Services, you agree to these terms. If you do not agree to this Agreement, then you may not use the Services. If you are under the age of 13, you may not use this Website and the Services. Agreement This Agreement describes the terms governing your use of the Armel Tax & Accounting Services LLC D/B/A 212 Tax & Accounting Services online services provided to you on this Website, including content, updates and new releases, (collectively, the “Services”). It includes by reference: (i) Armel Tax & Accounting Services LLC D/B/A 212 Tax & Accounting Services’ Privacy Policies provided to you in the Services available on the Website or provided to you otherwise; and (ii) any terms provided separately to you for the Services. In consideration of use of the Site, you agree to: (i) provide true, accurate, current and complete information about yourself as prompted by the registration page and (ii) to maintain and update this information to keep it true, accurate, current and complete. If any information provided by you is untrue, inaccurate, not current or incomplete, Armel Tax & Accounting Services LLC D/B/A 212 Tax & Accounting Services has the right to terminate your account and refuse any and all current or future use of the Site. The Services cannot be sold or transferred to a user other than the one registered with Armel Tax & Accounting Services LLC D/B/A 212 Tax & Accounting Services. Payment For Services the following payment terms apply, unless Armel Tax & Accounting Services LLC D/B/A 212 Tax & Accounting Services notifies you otherwise in writing. You must pay through a valid credit card or debit card acceptable to Armel Tax & Accounting Services LLC D/B/A 212 Tax & Accounting Services; have sufficient funds in a checking or savings account to cover an electronic debit of the payment due or by another payment option Armel Tax & Accounting Services LLC D/B/A 212 Tax & Accounting Services provides to you in writing. You can view Armel Tax & Accounting Services LLC D/B/A 212 Tax & Accounting Services Privacy Policies provided with the Services and on the Website for the Services. You agree to the applicable Armel Tax & Accounting Services LLC D/B/A 212 Tax & Accounting Services Privacy Policies, and any changes published by Armel Tax & Accounting Services LLC D/B/A 212 Tax & Accounting Services. You agree that Armel Tax & Accounting Services LLC D/B/A 212 Tax & Accounting Services may use and maintain your data according to the Armel Tax & Accounting Services LLC D/B/A 212 Tax & Accounting Services Privacy Statement, as part of the Services. You give Armel Tax & Accounting Services LLC D/B/A 212 Tax & Accounting Services permission to combine identifiable and non-identifiable information you enter or upload for the Services with that of other users of the Services and/or other Armel Tax & Accounting Services LLC D/B/A 212 Tax & Accounting Services. Certain communications involving tax advice between you and our firm may be privileged and not subject to disclosure to the IRS or state authorities. By disclosing the contents of those communications to anyone, or by turning over information about those communications to the government, you may be waiving this important privilege. If you are under the age of 13, you may not use this Website and the Services. As a condition of your use of this Website and the Services, you warrant to Armel Tax & Accounting Services LLC D/B/A 212 Tax & Accounting Services that you will not use this Website and our Services for any purpose that is against the law or prohibited by these terms. If you violate any of these terms, your permission to use this Website and our Services automatically ends. Armel Tax & Accounting Services LLC D/B/A 212 Tax & Accounting Services is taking reasonable and appropriate measures to ensure that your personal information is disclosed only to those specified by you. However, the Internet is an open system and we cannot and do not guarantee that the personal information you have entered will not be intercepted by others and decrypted. If you wish to make purchases through the Site, you may be asked by the merchant or information or service provider from whom you are making the purchase to supply certain information, including credit card or other payment mechanism information. You agree not to hold Armel Tax & Accounting Services LLC D/B/A 212 Tax & Accounting Services liable for any loss or damage of any sort incurred as a result of any such dealings with any merchant or information or service provider through the Site. You agree that all information you provide any merchant or information or service provider through the Site for purposes of making purchases will be accurate, complete and current. You agree to pay all charges incurred by users of your account and credit card or other payment mechanism at the prices in effect when such charges are incurred. You also will be responsible for paying any applicable taxes relating to purchases through the Site. THIS WEBSITE IS PROVIDED ON AN “AS IS” AND “AS AVAILABLE” BASIS. USE OF THIS WEBSITE IS AT YOUR OWN RISK. WE AND OUR SUPPLIERS DISCLAIM ALL WARRANTIES. NEITHER WE NOR OUR SUPPLIERS SHALL BE LIABLE FOR ANY DAMAGES OF ANY KIND INCURRED AS A RESULT OF THE USE OF THIS WEBSITE. TO THE MAXIMUM EXTENT PERMITTED BY APPLICABLE LAW, THE ENTIRE LIABILITY OF ARMEL TAX & ACCOUNTING SERVICES LLC D/B/A 212 TAX & ACCOUNTING SERVICES, ITS AFFILIATES AND SUPPLIERS FOR ALL CLAIMS RELATING TO THIS AGREEMENT SHALL BE LIMITED TO THE AMOUNT YOU PAID FOR THE SERVICES DURING THE TWELVE (12) MONTHS PRIOR TO SUCH CLAIM. SUBJECT TO APPLICABLE LAW, ARMEL TAX & ACCOUNTING SERVICES LLC D/B/A 212 TAX & ACCOUNTING SERVICES, ITS AFFILIATES AND SUPPLIERS INCLUDING BUT NOT LIMITED TO ARMEL TAX & ACCOUNTING SERVICES LLC ARE NOT LIABLE FOR ANY OF THE FOLLOWING: (A) INDIRECT, SPECIAL, INCIDENTAL, PUNITIVE OR CONSEQUENTIAL DAMAGES; (B) DAMAGES RELATING TO FAILURES OF TELECOMMUNICATIONS, THE INTERNET, ELECTRONIC COMMUNICATIONS, CORRUPTION, SECURITY, LOSS OR THEFT OF DATA, VIRUSES, SPYWARE, LOSS OF BUSINESS, REVENUE, PROFITS OR INVESTMENT, OR USE OF SOFTWARE OR HARDWARE THAT DOES NOT MEET ARMEL TAX & ACCOUNTING SERVICES LLC D/B/A 212 TAX & ACCOUNTING SERVICES SYSTEMS REQUIREMENTS. THE ABOVE LIMITATIONS APPLY EVEN IF PAIN IN THE TAX AND ITS AFFILIATES AND SUPPLIERS HAVE BEEN ADVISED OF THE POSSIBILITY OF SUCH DAMAGES. THIS AGREEMENT SETS FORTH THE ENTIRE LIABILITY OF ARMEL TAX & ACCOUNTING SERVICES LLC D/B/A 212 TAX & ACCOUNTING SERVICES, ITS AFFILIATES AND YOUR EXCLUSIVE REMEDY WITH RESPECT TO THE SERVICES AND ITS USE. You agree to indemnify and hold Armel Tax & Accounting Services LLC D/B/A 212 Tax & Accounting Services and its Affiliates and Suppliers harmless from any and all claims, liability and expenses, including reasonable attorneys’ fees and costs, arising out of your use of the Services or breach of this Agreement (collectively referred to as “Claims”). Armel Tax & Accounting Services LLC D/B/A 212 Tax & Accounting Services reserves the right, in its sole discretion and at its own expense, to assume the exclusive defense and control of any Claims. You agree to reasonably cooperate as requested by Armel Tax & Accounting Services LLC D/B/A 212 Tax & Accounting Services in the defense of any Claims. New York state law governs this Agreement without regard to its conflicts of law provisions. ANY DISPUTE OR CLAIM RELATING IN ANY WAY TO THE SERVICES OR THIS AGREEMENT SHALL BE RESOLVED BY FINAL BINDING ARBITRATION, RATHER THAN IN A COURT ACTION, except that you may assert claims in small claims court if your claims qualify. The Federal Arbitration Act governs the interpretation and enforcement of this provision; the arbitrator shall apply New York law to all other matters. Notwithstanding anything to the contrary, any party to the arbitration may at any time seek injunctions or other forms of equitable relief from any court of competent jurisdiction. WE EACH AGREE THAT ANY AND ALL DISPUTES MUST BE BROUGHT IN THE PARTIES’ INDIVIDUAL CAPACITY AND NOT AS A PLAINTIFF OR CLASS MEMBER IN ANY PURPORTED CLASS OR REPRESENTATIVE PROCEEDING. BY ENTERING INTO THIS AGREEMENT AND AGREEING TO ARBITRATION, YOU AGREE THAT YOU AND ARMEL TAX & ACCOUNTING SERVICES LLC D/B/A 212 TAX & ACCOUNTING SERVICES ARE EACH WAIVING THE RIGHT TO FILE A CLASS ACTION LAWSUIT AND THE RIGHT TO A TRIAL BY JURY. IN ADDITION, YOU AGREE TO WAIVE THE RIGHT TO PARTICIPATE IN A CLASS ACTION OR LITIGATE ON A CLASS-WIDE BASIS. YOU AGREE THAT YOU HAVE EXPRESSLY AND KNOWINGLY WAIVED THESE RIGHTS. You acknowledge and agree that Armel Tax & Accounting Services LLC D/B/A 212 Tax & Accounting Services may terminate your password or account or deny you access to all or part of the Site without prior notice if you engage in any conduct or activities that Armel Tax & Accounting Services LLC D/B/A 212 Tax & Accounting Services in its sole discretion believes violate any of the terms and conditions, violate the rights of Armel Tax & Accounting Services LLC D/B/A 212 Tax & Accounting Services, or is otherwise inappropriate for continued access.